New Delhi Land Consortium Pvt Ltd has carved a niche for itself in the real estate sector since its inception in the year 2007. Well received by a huge client base, the company has been able to earn the status as a dependable realty organization. The developers have to their credit a number of premium and high-quality residential, retail and commercial projects, most of which are located at the National Capital Region, more specifically within Delhi, Gurgaon and parts of Rajasthan. 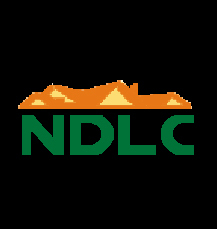 The mission ofNDLC Pvt. Ltd & Hitesh Group is to be the most successful, reliable and respected real estate companies in India. The company incorporates proven, professional state of-the-art techniques and technologies for developing a portfolio of housing and office space solutions to meet the diverse shelter needs of the urban middle class families and business needs for a large business communities. With prestigious projects planned at various other locations for future prospects, the organization envisions expanding its operations and become the preferred real estate solutions provider in the NCR. A flagship company of the Hitesh Group of Companies that is engaged in various business ventures, the New Delhi Land Consortium has been able to win accolades and appreciation from various associates and industry clients for its distinctive business policies. New Delhi Land Consortium Pvt Ltd has established itself as a customer oriented organization and pledges to deliver buildings that are economically feasible and environmentally responsible. Adopting construction practices that let them deliver projects on time and are at par with international quality standards, New Delhi Land Consortium is backed by a team of professionals and industry experts who work together towards delivering quality and attaining customer satisfaction.